Help young learners memorize scripture by connecting Bible verses with letters of the alphabet! 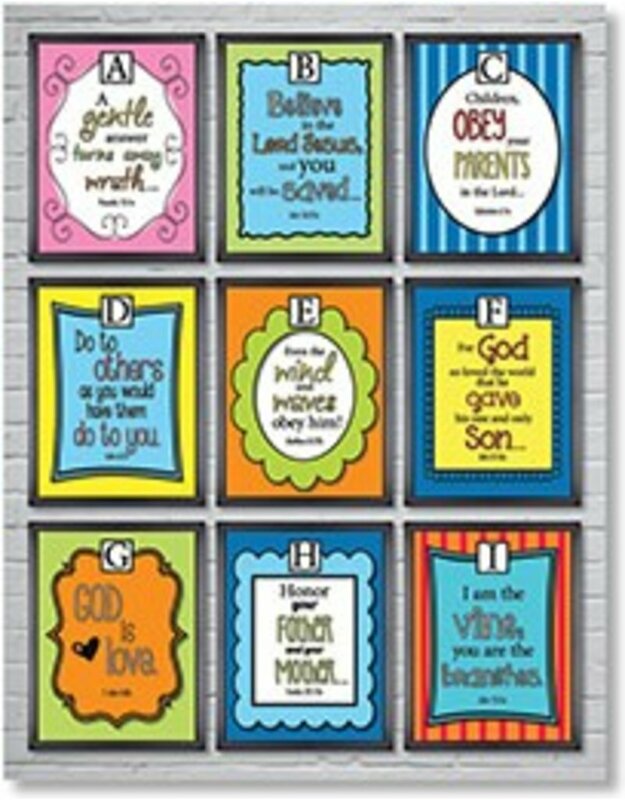 Set includes three 17" x 22" (43.2 x 55.9 cm) posters that feature one framed verse for each letter of the alphabet. The bonus frame can be personalized with a favorite memory verse. 3 pieces.